In cancer and congenital malformations, the airway is being compressed either from outside the trachea or from narrowing from malformed cartilage. Other causes of tracheal stenosis usually start with an ulceration in the trachea. The ulceration starts a cascade of inflammation, which is a normal healing process that can become exaggerated and cause more scar tissue than would normally be necessary. This additional scar tissue narrows the area in your trachea. Preventing complications with breathing tubes during insertion and preventing accidental removal if you have a difficult airway. Tracheal stenosis may be one of the first signs seen in granulomatosis with polyangitis. Stenosis can occur about 16 to 23 percent of the time. There is not much data available on the prevalence in other causes of tracheal stenosis. In other cases of acquired tracheal stenosis, the symptoms may not present themselves for several weeks after the injury occurs. Difficulty with breathing is the common first symptom. Like congenital tracheal stenosis, you may notice stridor, wheezing, or exertional shortness of breath. Several testing methods may be used to help your doctor determine whether you have tracheal stenosis or not. Bronchoscopy is considered the "Gold Standard" for diagnosing tracheal stenosis because your doctor will be able to directly visualize your trachea. However, there are some risks associated with this because using a scope will further obstruct your airway, so maintaining your oxygenation levels may be more difficult. Discuss your individualized risk factors associated with bronchoscopy with your doctor. Other methods that your doctor may use include x-ray, CT scan, ultrasound, MRI, and pulmonary function testing. Standard x-rays are good at identification of structure, columns of air, trauma, and other preliminary data. Other more sophisticated x-ray machines can be used (xeroradiography) to further identify stenosis, however the radiation exposure is significantly higher than other methods. CT scanning can be a great technique for your doctor in determining whether you have tracheal stenosis or not. It does, however, have difficulty identifying soft tissue causes of the narrowing of your trachea. Some techniques are being utilized in a way to create "virtual endoscopy" to minimize the need for you to undergo a bronchoscopy. However, CT scanning is not a great method for identifying a less severe degree of stenosis. Ultrasound can be helpful in identifying the amount of air space in the trachea. This allows your doctor to determine whether or not more testing may be necessary, however, due to the amount of cartilage around the trachea, accuracy of the test can be questioned because of shadowing effects caused by reflection of the sound waves off the cartilage. Leave this test only to those highly skilled at identifying tracheal stenosis by ultrasound. MRI scanning is also a great alternate method to help in diagnosing tracheal stenosis, and in children it is being considered to become a standard method. The major drawback of MRI is the length of time you need to commit to have the procedure done and the blurring that can occur from normal breathing during the exam. Improved techniques are continuously being developed to improve the utilization of this technique in diagnosing tracheal stenosis. Pulmonary function testing can be performed in some doctor offices, or if unavailable, you will be sent to a pulmonary lab. This test can be used to determine how much of an impact the stenosis is having obstructing your breathing. This will be helpful in discussions regarding treatment options with your doctor. Several options exist for treating tracheal stenosis and your doctor will discuss which options are the least invasive and have the potential for the best result for your individualized care. 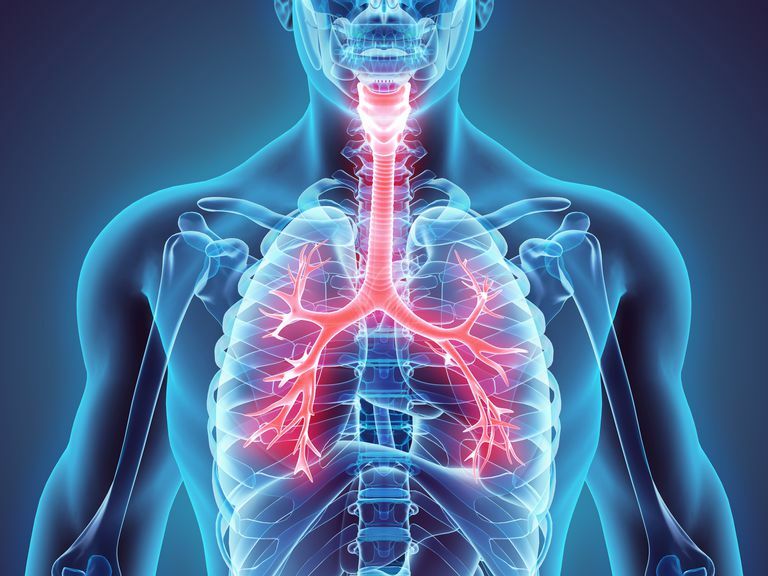 Most treatments are endoscopic procedures requiring actual visualization of your trachea. If the area of stenosis is small, placing a stent, dilating your trachea with a balloon, or removing some of the scar tissue with a laser will help to minimize the stenosis. During these procedures, your doctor may also inject the tissue in your trachea with steroids to help minimize any swelling. For more severe tracheal stenosis, your doctor may recommend tracheal resection, which requires surgery. This procedure is reserved for when endoscopic treatments have failed, or tracheal stenosis is too severe for endoscopic procedures. During this procedure, your doctor will cut out the part of the trachea that is affected and repair your trachea with skin or cheek tissue. Following surgery, you will typically be able to have the breathing tube removed during recovery from anesthesia. However, if there is too much swelling, several interventions will be used. In this case, you can expect to be placed on steroids for 24 to 48 hours as well as a diuretic like Lasix. Your nurses will also be sure to keep the head of your bed elevated by 30 degrees or more. After 48 hours, you will return to the operating room to have your breathing tube removed. If you are still unable to support your airway, a tracheostomy will be inserted to maintain your airway. Due to the invasive nature of this treatment, it is considered a last resort after other therapies have failed. Axtel, AL & Mathisen, DJ. (2017). Current Surgical Therapy: The Management of Tracheal Stenosis. 882-887. Hofferberth, SC, Watters, K, Rahbar, R & Fynn-Thompson, F. (2015). Management of Congenital Tracheal Stenosis. Pediatrics. 136(3):e660-9.